Every year, anglers catch about 200 sea trout and brown trout in the river Kongeå. In April 2012, the first large shiny spring salmon for many years was caught above Foldingbro. Every 6 years, DTU Aqua and the local angling associations make a release plan for trout and salmon in the river Kongeå. 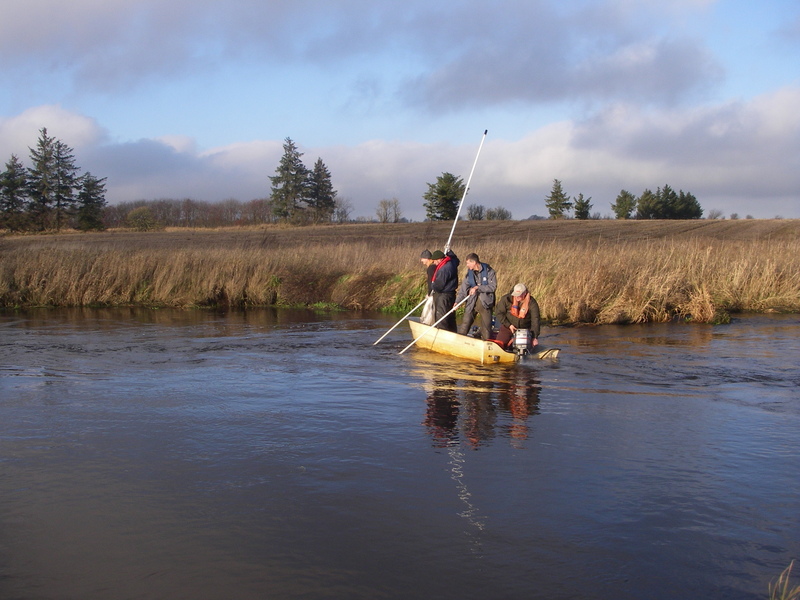 The broodstock size for sea trout and salmon was calculated in the winter of 2009/10. At the time, the broodstock was 275 salmon and 841 sea trout. the dams at Jedsted Mølle Fish Farm are removed. the dams at the fish farm by Vejen Store Vandmølle are removed. environmentally friendly watercourse maintenance is conducted. fences are erected along the main water course. improved spawning and growth facilities are established in a number of tributaries. On Vejen og Omegns Sportsfiskerforening (Vejen and the local area's angling association) and Sydvestjydsk Sportsfiskerforening's (South-west Jutland angling association) websites, you can read more about fish and angling in the river Kongeå.